In the first half of the St. Louis Symphony Orchestra concerts this weekend (February 1 and 2), guest conductor Matthias Pintscher will lead the band in a pair of works by Russian Romantic composers who, while close friends, were still as different as chalk and cheese. The composers in question are Serge Rachmaninoff (1873-1943) and Aleksandr Scriabin (1872-1915). 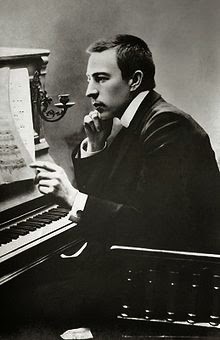 Rachmaninoff, famously, was so stung by the harsh criticism of his first symphony that he spiraled into a depression that was cured only after extensive hypnotherapy. Scriabin, on the other hand, was a raging egomaniac unacquainted with self-doubt. Rachmaninoff was a stable family man. 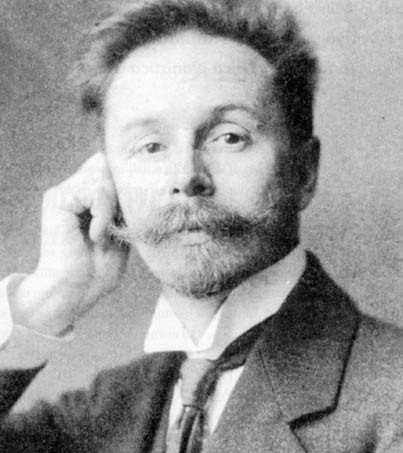 Scriabin was an eccentric who fathered illegitimate children while separated from his wife. Rachmaninoff was a member of the Russian Orthodox Church with strong moral beliefs. Scriabin was a Theosophy-addled mystic who began to see himself as divine. Basically, Rachmaninoff was sane while Scriabin was a loony. At the time Scriabin wrote the work that represents him this weekend, though, he hadn't yet achieved those heights of weirdness. Written in 1896, when the composer was only 24, his one and only Piano Concerto shares what SLSO program annotator Tim Munro calls the "inward-looking nature" of Chopin, whom Scriabin greatly admired. "Its restrained music," he writes, "allows few outbursts, holding its hand close, asking us as listeners to lean in, to observe closely." In a detailed analysis for the Pianist Musings blog, pianist and composer Kathryn Louderback adds that Scriabin "masterfully orchestrated the piece so the piano is enhanced, yet the orchestra also shines on its own. AND he created his own sound based on Classical and Romantic roots injected with his own style." The soloist this weekend is Kirill Gerstein, whose previous appearances here have included a surprisingly lyrical Tchaikovsky 1st back in 2013, a bravura performance of British composer Thomas Adès's "In Seven Days" in 2012, and a brilliantly improvisatory "Rhapsody in Blue" in 2014--a performance repeated here and recorded for CD on the Myrios label in 2017. A Gilmore Artist Award winner, Mr. Gerstein has shown himself to be equally at home with both Romantic classics and new music (some of which he has commissioned himself), which would seem to make him a good bet for a work like the Scriabin concerto, which looks back to Chopin while still anticipating the composer's more radical later works. The Rachmaninoff tone poem that opens the concerts this weekend draws its inspiration not from an earlier composer, but rather from a painting. Written in 1908, when the composer was 35, "Isle of the Dead" is based on a landscape of the same name that was the most popular thing created by the Swiss Symbolist artist Arnold Böcklin. The stark depiction of an island necropolis towards which a white-robed figure is being rowed apparently struck a sympathetic chord over a century ago and is still compelling today. Böcklin painted five different versions of it (one of which was destroyed in World War II) in the 1880s, and reproductions were apparently common in an early 20th century Europe still reeling from war and influenza. Dominated by the "Dies Irae" theme that shows up in so much of Rachmaninoff's work, "Isle of the Dead" captures the ominous and majestic feel of the painting remarkably well, considering that the composer had seen only a black and white print of the original. A rocking 5/8 theme, suggestive of the sea and the boat, begins in the low strings and gradually takes over the orchestra. A more lyrical second theme (intended to represent the life force) rises in the strings about half way through, only to be beaten down by a series of relentless brass-and-percussion hammer blows. The piece ends with a return to the eternal sea. The Mendelssohn piece on the program--the "Symphony No. 3 in A minor", op. 56, "Scottish"--also drew some inspiration from death and ruin. 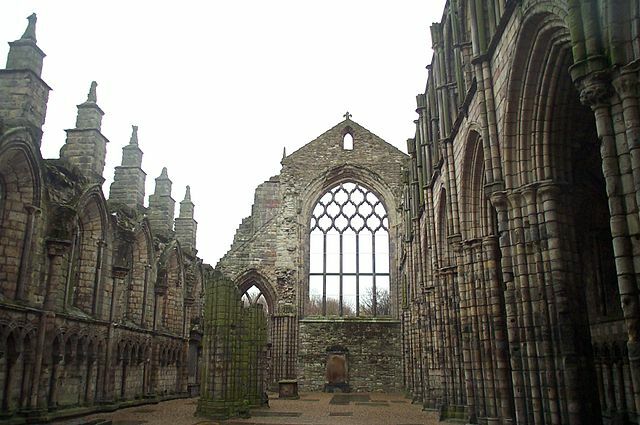 Although most of it wasn't written until 1842, Mendelssohn got the idea for the slow introduction to the first movement when he visited the ruined Holyrood Chapel in Edinburgh on an 1829 walking tour of Scotland. "In the evening twilight," he wrote, "we went today to the palace where Queen Mary lived and loved...Everything round is broken and mouldering and the bright sky shines in. 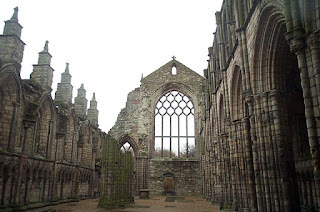 I believe I today found in that old chapel the beginning of my 'Scottish' Symphony." That opening theme aside, though, the "Scottish" nature of the symphony is a subject of some debate among critics and program annotators. Some, like the Eric Bromberger (in program notes for the San Diego Symphony), feel that "no one is sure what that nickname means. This music tells no tale, paints no picture, nor does it quote Scottish tunes." British composer and conductor Julius Harrison (in "The Symphony," edited by Robert Simpson, 1967), on the other hand, thought the symphony "illustrates the near-scenic aspect of Mendelssohn's romantic art" and felt that the jaunty clarinet theme of the Vivace non troppo second movement has "a touch of 'Charlie is My Darling' about its dotted quavers--something Mendelssohn may have remembered and set down." I fall more into the late Mr. Harrison's camp, but wherever you come down on the "Scottishness" of this music there's no getting around its unflagging appeal and elegant construction. To hear this music is to love it. The Essentials: Matthias Pintscher conducts the St. Louis Symphony Orchestra and pianist Kirill Gerstein Friday and Saturday at 8 pm, February 1 and 2. The concerts take place at Powell Symphony Hall, 718 North Grand in Grand Center.